If you’ve spent any time in Portugal recently, you’ve probably stumbled across a gift shop selling all kinds of products made from cork including shoes, handbags, wallets, and just about anything else you can think of. Cork is one of Portugal’s biggest and most important exports. In fact, Portugal is the biggest cork producer in the world and produces more than 50% of the world’s cork supply. 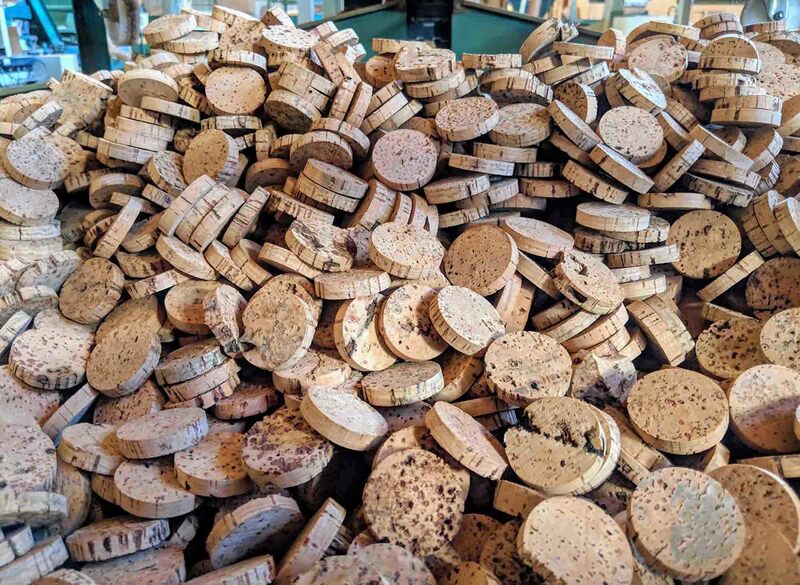 The vast majority of this is made into wine bottle stoppers but, increasingly, more and more cork is being sold to the construction and fashion industries and even to the space industry. As well as being great for storing wine, cork is great for sound and heat insulation, and it’s increasingly being used for sound-proofing materials and for floor tiles. 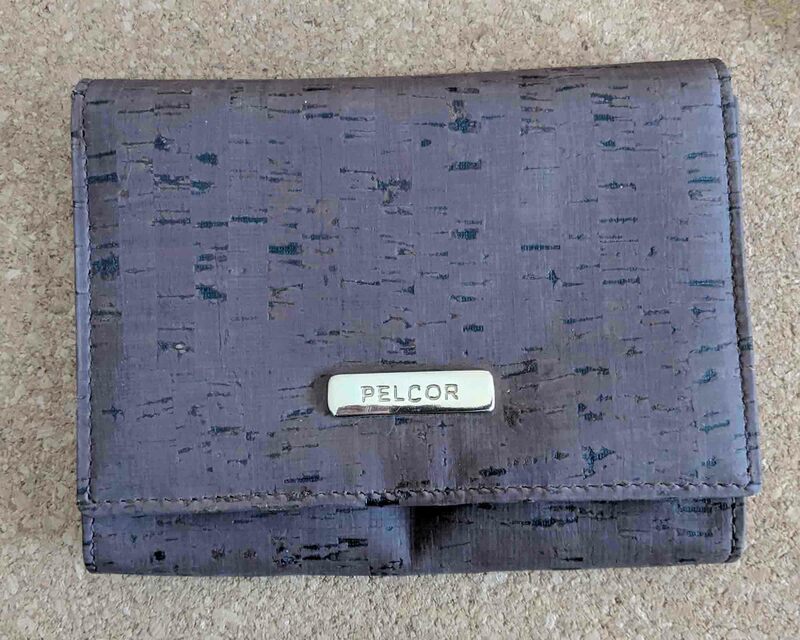 It’s also used for all kinds of accessories including handbags, purses, wallets, mousemats, yoga mats, iPad covers, shoes, and even furniture, as well as in woodwind instruments, and inside baseballs. The best thing about cork, aside from being a good earner for Portugal, is that it’s sustainable. The trees aren’t cut down or damaged when the cork is harvested, and they can be harvested every 9 years for the lifetime of the tree (roughly 270 years). To cut down a cork tree you actually need a permit from the Portuguese Ministry of Agriculture, and it’ll illegal to cut a cork tree down without one. 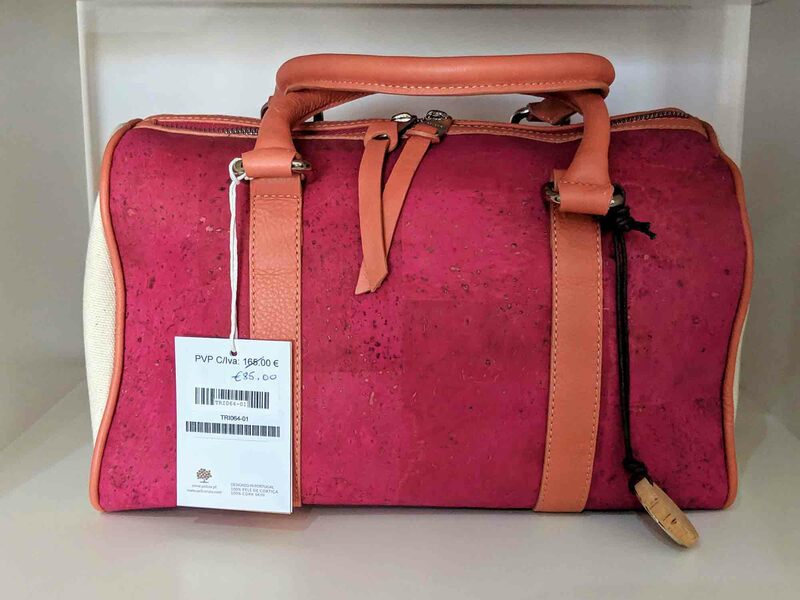 Cork-made products like handbags, briefcases, and belts are vegan-friendly as well, as normally these products would be made from leather. Working in the cork industry isn’t a business that you can establish overnight. 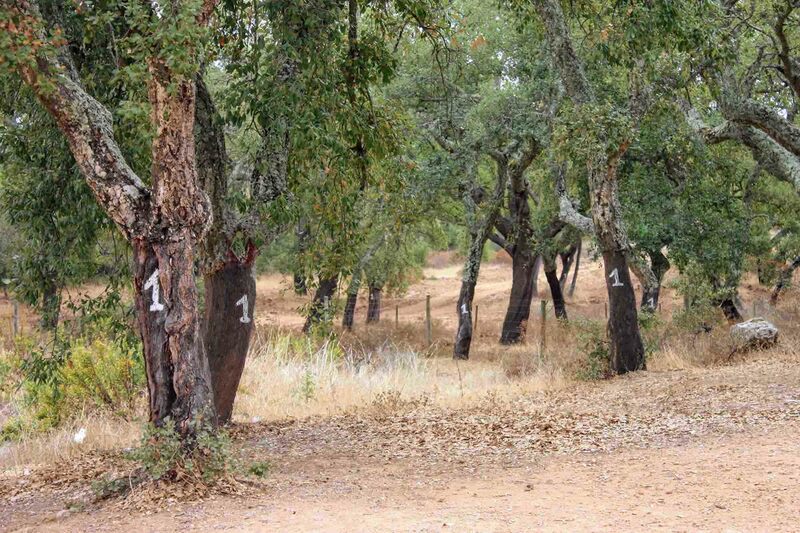 In fact, it takes 25 years from planting a cork oak tree (Quercus suber) until the tree is ready for its first harvest. That first harvest, which is known as virgin cork, isn’t actually good enough to be used in the production of wine bottle stoppers. Wine cork makers have traditionally been the target buyer for most cork producers as 75% of all cork produced is made into wine bottle stoppers. Corks, particularly champagne bottle corks, can command some of the highest prices of any cork product and often fetch several Euro per cork. Even the next harvest, which takes place 9 years later, isn’t good enough to be used for cork bottle stoppers. It actually takes another 9 years, 43 years from planting, before the tree produces cork that’s of a high enough quality to be used as corks. This cork is known as ‘amadia’ cork. 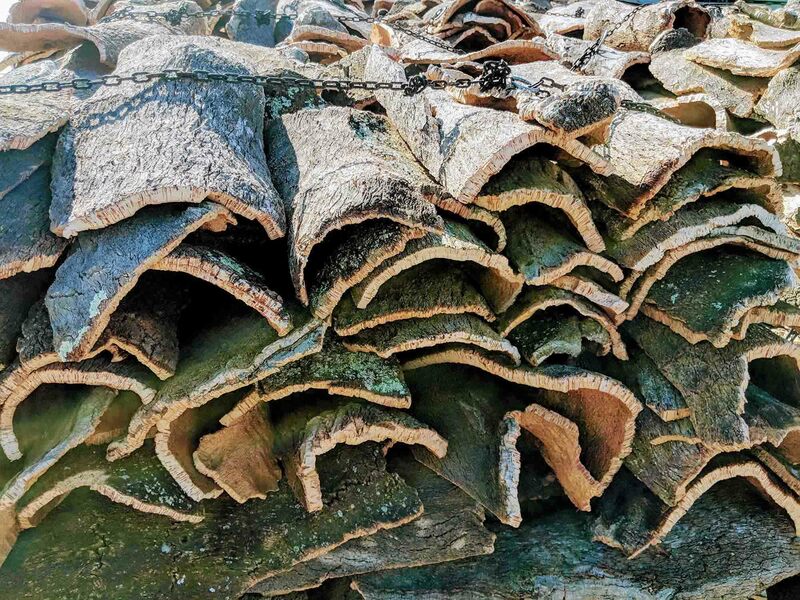 The good news is that a tree can live to between 270 and 300 years so, with a harvest every 9 years, the owners can expect another 20 or more harvests – although the tree does stop producing as much amadia cork over time: the amadia cork period lasts for around 50 years after it begins producing amadia cork at around year 43. 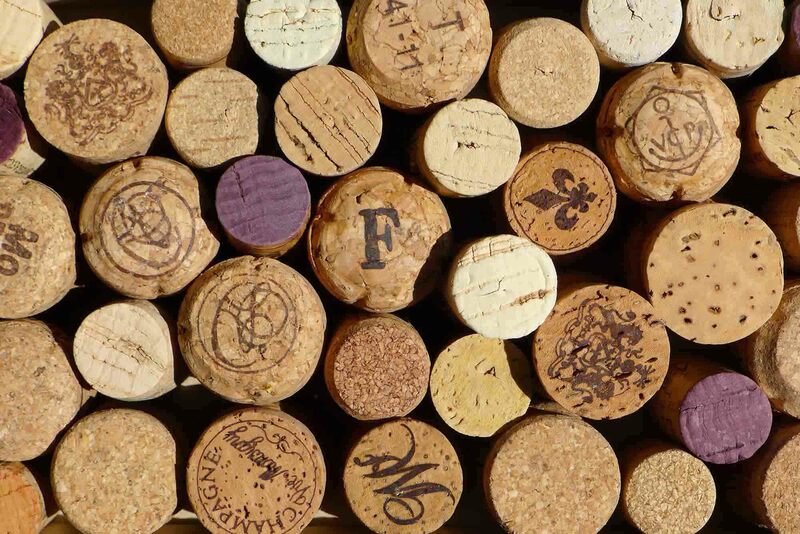 Although the cork that’s harvested in years 25 and 34 won’t get used for wine bottle corks, it does get ground down and used to make building materials, in fishing products, and in fashion products, so there’s no wastage. But, even though that cork can be used, 25 years is still a very long time to have to wait for your business to start making money. Cork expands when the weather is warmer, which makes it easier to harvest, which is why cork harvesting typically takes place between May and September. No machines are involved in this process: the cork strippers (tiradors) work together in pairs using handheld axes, one person on the ground and one in the tree. They make cuts at the top and bottom of the trunk and then peel the cork off. The tiradors typically earn between between €80 and €120 per day, which makes the job one of the highest jobs in the agricultural industry worldwide. The wages are also fixed, rather than being based on them collecting a certain amount of cork, and they receive health care and other benefits as well. The number written on a peeled cork oak refers to the year it was stripped, e.g. “1” refers to “2011”. After they have removed the cork from the tree, the cork is left out for several months to dry in the sun. After that, the cork is boiled for one hour and pressed to make it flatter. 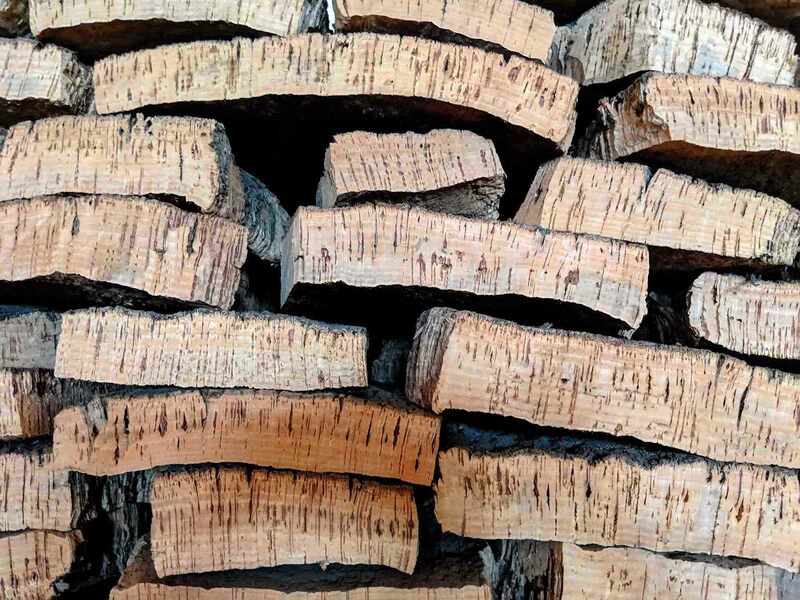 The boiling process kills any bacteria or insects that may be present on the cork, while the pressing makes the cork into a more suitable shape for working with. The cork will later be manually checked for fungus or bacteria. Any signs of bacteria mean that the cork cannot be used for wine bottle stoppers, but can be ground down and used in other products. The cork is then separated into batches, depending on the quality and the thickness of the pieces of cork. The ideal piece of cork is thick enough to be a wine bottle cork. It should also be dense and have no holes. There are several different ways to make a wine cork, depending on the size and quality of the piece of cork. If it’s thick and dense, with no holes, then a machine (or person) can simply punch out the corks. These are the best types of cork. If the cork has holes in it, these holes can be filled up with cork dust and glue. Some are made almost entirely from compressed cork grounds. These corks are much more likely to break when you’re opening a bottle of wine, and are only made for cheap wines that aren’t going to be stored long-term. Italy tends to buy a lot of the cheaper types of corks, which is probably why it’s made such a big move towards screwcaps, whereas France is one of the biggest buyers of high quality wine corks. The anatomy of a champagne cork is a little more complex. It’s actually made from three pieces of cork, two of which are disks, that are glued together and the hole thing is then polished. Don’t worry, no glue touches the champagne: the bottom disk creates a barrier that prevents that from happening. Partly spurred by the declining use of cork stoppers in cheaper wine bottles, cork producers and designers are finding more and more creative and useful ways that cork can be used. Cork tiles are nothing new, but they are slowly starting to become popular again. 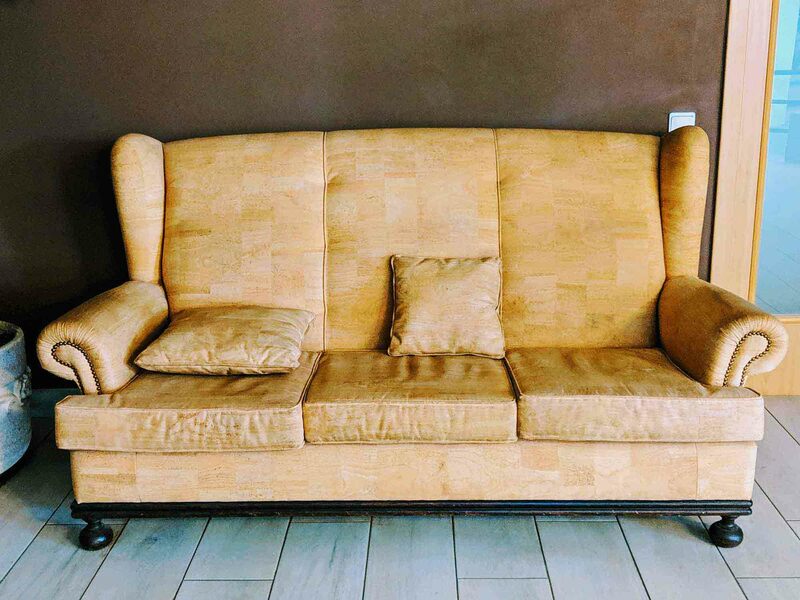 Cork tiles are much more sustainable than wooden flooring, they’re good at regulating heat, and, during winter, they’re also much warmer than traditional tiles as well. They’re also softer, which is important for those with children, elderly parents, or an expensive iPhone. Believe it or not, you can actually make an entire 3-piece suite from cork. It’s incredibly comfortable, just as comfortable as leather, and it looks great as well. Cork’s cellular structure means it’s good for insulation and soundproofing, which is why so much cork is sold to the construction industry. 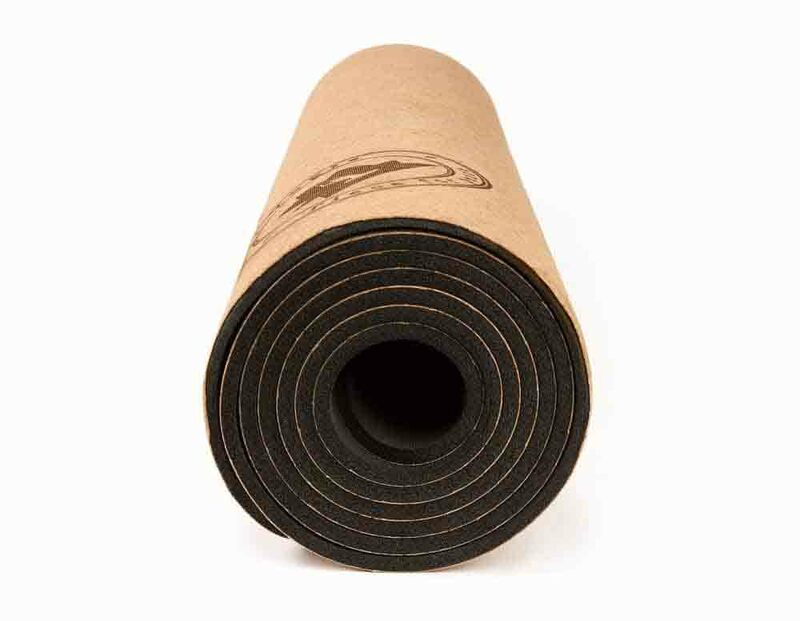 Cork yoga mats are becoming increasingly popular for a number of reasons. They’re made from a sustainable material, which a lot of yoga mats and other fitness products aren’t. Cork is also a really good material for sweaty hands and feet as it means that you don’t slip as much. (The cork yoga mat in the photo is available from Cork Yogis). The most common use of cork that you’ll see is probably fashion products like handbags and wallets. Just about anything can be made from cork it seems, so as well as those two products you’ll also find cork phone cases, shoes, passport covers, and just about everything else. Some designers have gone a little OTT with cork (cork umbrellas, for example), but it does show just how many things cork can be used to make.